Home > > Who Are The Copts? Arab and Turkic Dynasties, 640-1798 A.D. The word Copt is an English word taken from the Arabic word Gibt or Gypt. The Arabs after their conquest of Egypt in 641 A.D. called the indigenous population of Egypt as Gypt from the Greek word Egyptos or Egypt. The Greek word Egyptos came from the ancient Egyptian words Ha-Ka-Ptah or the house or temple of the spirit of God Ptah, one of the major ancient Egyptian Gods. The word Copt or Coptic simply means Egyptian, however the Muslim population of Egypt calls themselves Arabs. In contemporary usage, the word Copt or Coptic refers to the Christian population of Egypt. The Coptic people are the descendants of the ancient Egyptians. The known history of the Copts or Egypt starts with King Mina or Menas the first King, who united the northern and southern kingdoms of Egypt circa 3050 B.C. The ancient Egyptian civilization under the rule of the Pharaohs lasted for approximately 3000 years. Many Copts accepted the teachings of Christianity, possibly because the ancient Egyptian religions believed in life after death. This is evidenced by their elaborate efforts to preserve the bodies of the dead by embalming or mummification. Like other early Christians throughout the Roman Empire, the Copts suffered from the persecution perpetrated against the new religion. Many Copts shed their blood in testimony for Jesus Christ. Saint Mina or Menas is one of the major Coptic saints. He was martyred 309 A.D. The Copts history continues through the present as Father Mina the Anchorite led the Coptic Orthodox Church, who was named as Pope Cyril the 6th 1971 A.D. He is considered to be a contemporary saint and among the great leaders of the Coptic Orthodox Church. The Coptic or Egyptian history continues from circa 3050 B.C. through the present. Many cotemporary Copts continue to carry ancient Egyptian names such as Mina, Ahmos, and Ramesses for men, Isis, Nofert, Nefertiti, and Nitocris for women. Two examples are noteworthy about the influence of the ancient Egyptian civilization on the western civilization. The first example is that the present western or Gregorian calendar has its roots in the solar ancient Egyptian calendar. The second is that the modern name of the science of Chemistry gets its name from the ancient name of Egypt, or "Chimie" in the Coptic language. The ancient Egyptian civilization evolved over approximately three thousand years. Thirty Pharaohnic dynasties are known to have ruled Egypt. Egyptologists around the world continue to study and rediscover many of the facets of history and life in ancient Egypt. Dates prior to the Persian invasion are approximate and Egyptologists differ in their estimates of these dates. King Mina is the first historical king of Egypt. He unified southern and northern Egypt under his rule circa 3050 B.C. He founded a new city Memphis, and built a temple for the Ptah, the God of creation for ancient Egypt. The succession of females to the throne of Egypt was declared valid during the second dynasty. Early ancient Egyptian medical texts and the book of the dead were written as early as the time of the second dynasty. Old Kingdom, Dynasties III-VI: Pharaohs of the Old Kingdom were known to be great warriors and builders 2663-2195 B.C. The kings of the 4th Pharonic dynasty Kheops or Khufu, Khpheren or Khafre, and Mykerinus or Menkaure built the pyramids. Khafre is also believed to be the builder of the Sphinx. The Sphinx is hewn out of the living rock, but pieces of stone have been added where necessary. Originally there probably were ornaments on the head, the whole of which was covered with limestone and the face was colored red. E.A. Wallis Budge, the famous Egyptologist, indicated " the conditions of the sphinx deteriorated due to the savage destruction of its features by the Muslim rulers of Egypt". The last ruler of the sixth dynasty was Queen Nitocris, most probably the first female ruler allover the world. She enlarged the pyramid of Mykerinus and covered it with slabs of granite. The Old Kingdom was followed by the first intermediate period, dynasties VII-X. Egypt's prosperity and civilization continued under the Pharaohs of the middle kingdom 2066-1650 B.C. Thebes emerged as the capital of Egypt. King Amenemhat I built a temple for Amen Ra, the King of the Gods, at Thebes. During his reign examples of ancient Egyptian literature were written, the story of Senehet or Senuhi. Subsequent to the Middle Kingdom time, Egypt was weakened during the second intermediate period. This allowed invaders from Asia, the Hyksos, also known as shepherd kings to rule northern Egypt, dynasties XIII-XVII, 1650-1535 B.C. The Egyptian kings of southern Egypt ultimately liberated Egypt from the Hyksos rule. King Ahmose or Amosis defeated the last of the Hyksos, and initiated the 18th dynasty and the new kingdom 1550-1064 B.C. This is considered to be the golden era of ancient Egypt. During this era, Egypt ruled an empire that extended from Syria to the north to Nubia in the south. Several Pharaohs distinguished themselves both in military conquests and civilian achievements e.g. Thuthmosis III 1479-1424 B.C. and Ramesses II 1279-1212 B.C. King Akhenaten 1360-1343 B.C. established a monotheistic religion to worship one God Aten. Many people all over the world have seen the famous king Tut's treasures and golden funerary mask. King Tut or Tutenkhamun 1343-1333 B.C. was Akhenaten's son in law. He reversed his father in law's one God worship back to the worship of the ancient Egyptian gods. The equality of men and women and respect for the role of women in the family and society at large were evident in the ancient Egyptian culture, and continue at present in the contemporary Coptic culture. As indicated above women as well as men ruled Egypt. Queen Nitocris, the last ruler of the sixth dynasty was probably the first female ruler allover the world. King Ahmose's mother Queen Ahhotep II and his wife Queen Nefertari were major supporters of the liberation wars against the Hyksos. Achievements of Queen Ahhotep were recorded on a stele at Karnack. The stela praised Queen Ahhotep as the " one who cares for Egypt. She looked after her soldiers; she guarded her; she brought back her fugitives, and collected together her deserters; she pacified Upper Egypt and expelled her rebels". Queen Nefertari, Ahmose's wife was a key figure at the beginning of the 18th dynasty. Another famous Queen is Hatshepust who ruled Egypt 1472-1457 B.C. Knowledge, arts, and literature flourished in ancient Egypt. The Egyptian temples were centers for both religious and secular learning and libraries, e.g. Ramesses II scared library. Some scholars compared ancient Egyptian poetry to some of the verses of the book of psalms. This should come as no surprise, as history indicates a lot cultural and trade exchanges between Egypt and the Israelites. The Old Testament shows the relationship in many of its books, e.g. the migration of Jacob and his sons to Egypt, the exodus of the Israelites out of Egypt led by Moses, King Solomon's marriage to an Egyptian princess, and the migration of the Israelites to Egypt after Jeremiah the prophet time. Subsequent to the new kingdom several dynasties ruled Egypt including Libyan and Kushite dynasties, the period is known as the third intermediate period, dynasties XXI-XXV. King Taharqa, a famous kushite King ruled both Egypt and what is now northern Sudan 690-664 B.C. He built beautiful monuments both in Egypt and Kush. Taharqa conducted an active foreign policy against the then growing military power of Assyria. Also, the bible cites Taharqa's name in 2 Kings 19.9 and Is 37.9, as cotemporary to King Hezekiah of Judah and referred to the conflict between Judah and Assyria. In the Saite period 664-525 B.C. many Greeks immigrated to Egypt to trade, learn or settle. King Psammetichus I hired Ionian and Carian Greek mercenaries for the Egyptian army. Pythagoras, the Greek mathematician and Herodotus the Greek historian visited Egypt to learn about the Egyptian knowledge and arts at the time of the Persian occupation of Egypt. Several alliances against the Persian incursions were concluded between Egypt and Greek cities such as Sparta and Athens. The Persians occupied Egypt 525-404 B.C. and later on 343-332 B.C. Some historians record atrocities committed by the Persian rulers against the Egyptians, however the Persians also appreciated the high caliber of the Egyptian art. They used many Egyptian artists to work on Persian palaces and temples. A statue for Darius I, the Persian King, was excavated from the ruins of his capital Susa, Iran. This statue shows the influence of Egyptian art and includes inscriptions in hieroglyphics. Alexander the Great 332-323 B.C. defeated the Persian Empire. He established a new great city in Egypt, Alexandria, to immortalize his name. The Greek Ptolemaic dynasty ruled Egypt from 305-30 B.C. The Romans under Ocatvian Augustus Caesar defeated the last Ptolemaic Queen Cleopatra VII and her Roman husband Anthony. Egypt was annexed as a province of the Roman Empire 30 B.C.- 641 A.D. The Greeks followed by the Romans, though they ruled Egypt, were admirers of the Egyptian civilization, knowledge and culture. Greek and Roman rulers in fact rebuilt many of the pharaonic temples of southern Egypt in the Hellenic era. The Egyptian civilization influence was so great during the Hellenic era to the extent that the worship of Isis the Egyptian goddess had adherents allover the Roman Empire. Alexandria, Egypt became a major center for trade, learning and culture in the Hellenic Era. King Ptolemy I, on the advice of Demetrios of Phaleron created the ancient library of Alexandria and Museum circa 285 B.C. Among the famous scholars of the time were Eratosthenes, Euclid, the father of geometry, Aristomachos of Samos, the first astronomer who tried to measure the size and relative distance to the moon and sun, Strato of Lapsakos in the study of physics. Ktesibios of Alexandria designed remarkable pneumatic and hydraulic devices. Herophilos of Chalecedon, Ptolemy II physician made major discoveries in human anatomy, Dioskorides wrote medical treatise following the Hippocratic tradition, and Zopoyros a pharmacologist developed famous prescriptions. The medicine and sciences of the era as might be expected built on the pharaonic medicine and its great expertise in the human body thanks to centuries of embalming experience. Among the great achievements of the old library of Alexandria is the Old Testament's first translation from Hebrew to Greek. This translation is known as the Septuagint, and was popular and used extensively by the early Christians. The bible tells us the story of the flight of the holy family to Egypt from Herod. The holy family sojourn in Egypt included several places in both northern and southern Egypt. 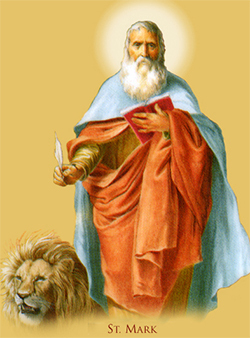 Saint Mark the Evangelist introduced Christianity into Egypt. He was martyred at Alexandria, Egypt. Saint Mark is the first leader of the Coptic Orthodox Church, and was followed by his first convert in Alexandria, Annianus circa 62 A.D. An unbroken succession of leaders for the Coptic Orthodox Church starts with Saint Mark and continues to the present Pope Shenouda III. He is the 117th successor of Saint Mark. The early Christian Egyptians or Copts followed the ancient traditions of learning and established a theological school or the Catechetical School. Athenagoras of Athens was one of one of the professors at the library of Alexandria's museum, which was a major stronghold of intellectual paganism at Alexandria. He like many other pagan Platonic philosophers of his time was interested in Christianity and desired to expose its fallacies. He studied Christian writings to refute the new religion. However, his study led him to be convinced with the truth of Christianity. After Athenagoras 's conversion to Christianity, he continued his philosophical teaching at the museum. He became a champion to defend Christianity and addressed his defense of Christianity or " Apology" to the Roman emperors Marcus Aurelius and Commodus circa 176-177 A.D. Pataenus and Clement of Alexandria were indicated to have studied with Athenagoras; and both like most Copts of their time had been well educated in all the learning of the ancients, as well as in the truths of Christianity. Under the rule of the Emperor Commodus, the newly established Coptic Catechetical School was led Pantaenus circa 190 A.D. Clement of Alexandria followed Pantaenus as head of the Catechetical school. Oregon or Oreganos was one of the most celebrated and prolific Coptic philosophers who led the Catechetical school. These philosophers and others defended early Christianity against the pagan and later heretic teachings. For example, the Alexandrian Catechetical School also used the method of interpretation or "exegesis" developed by the pagan scholars of the Alexandrian library museum. Further more, Origen, whose name means, born of Horus the ancient Egyptian God, not only translated the bible and developed the Hexapla, he also ventured in philosophical speculations that influenced Christian scholars and philosophers for ages. One of his philosophical speculations is that GOD has unlimited mercy to the extent that ultimately all creation, including non-believers in Christ and even Satan, will be saved. The Coptic and other Orthodox Churches did not follow the speculative interpretation of Oregon on salvation, however the Roman Catholic Church belief in purgatory may have been to some extent influenced by Origen's interpretation. Another Coptic philosopher was Hepatia. She was a respected pagan philosopher known for her erudition and knowledge. Hepatia met an unfortunate death at the hands of an unruly mob. Her murder occurred during clashes between Christians and pagans during the region of the Roman Emperor Theodosius around 390 A.D. The ancient Egyptian religious traditions included temple devotees who led celibate lives of poverty, pursuit of knowledge and prayers. The story of Ptolemios and Harmais or Haremhab tells us about two devotees or monks who led celibate lives at the Serapeum temple. They were cotemporaries of Queen Cleopatra. Following in the footsteps of the ancient Egyptians, Copts started Christian monasticism. Saint Paul of Thebes led a solitary life of prayer and asceticism in the Egyptian desert. Saints Amon followed by Saint Macaruis led monastic lives in the desert valleys of Scets and Niteria. Monasticism was introduced to Europe by Saint Athanasius's book about the Life of Saint Anthony. The Coptic Church of Alexandria worked with the Church of Rome defended the Christian faith against several early Christian heresies, e.g. the Arian heresy. The Nicene Creed, still used by most of the Christian Churches allover the world, was originally written by a Coptic young deacon, Athanasius of Alexandria. The Council of Nicea 325 A.D adopted the creed. However, the council, Calchedon, debated the nature of Christ in 451 A.D., and ended up in the schism of the Coptic Orthodox Church from the Churches of Rome and Constantinople. Different explanations are given for this schism, ranging from political motives, to inaccurate translation from Latin and Greek and visa versa, to clash of some of the personalities involved. Attempts to reconcile the views of the churches continued for centuries and almost succeeded at times but not quite. A 19th century Protestant scholar studied the issues of this schism. He concluded that both the Coptic and western churches believe in the same dogma, but the choice of words was problematic. It is heartening to witness that the cotemporary movement for reconciliation and unity among the Churches in the late 20th century. The Coptic Orthodox Church joined the International Council of Churches, and friendly exchanges and dialogue were pursued. As the dialogue among Orthodox, Catholic, and Protestant Churches continues, there seems to be a common movement towards the unity of faith as contrasted with the unity of the Churches. The wars between the East-Roman Empire and The Persian Empire in the 6th and 7th centuries weakened both empires. The Muslim Arabs attacked both empires in the 7th century. After their conquest of the East-Roman provinces of Jordan, Syria, Lebanon, and Israel, they invaded Egypt in December 641 A.D. Egypt was one of the precious crown jewels of the East-Roman Empire. It was the breadbasket of Rome first then Constantinople. It was a fertile land that produced and exported wheat, corn, wine, oil, textiles, glass, cosmetics, and medicinal and chemical products of the time. The population Copts is estimated to be about 9 millions at the time the Arabs conquest. Scholars differed in views on how the ancient library of Alexandria was destroyed. However, recent research by Luciano Canfora concluded that the Arab general Amer ibin Alass at the orders of the Arab Caliph Omar ibin Alkhatab did the destruction of the library. The story of the Arabs destruction of the library indicates that it took them six months to burn the books in about one thousand public bathes in Alexandria. Several Muslim Arab and Turkic dynasties ruled Egypt from 640 A.D. to 1798 A.D. The French under Napoleon Bonaparte defeated the Ottomans and the Mumelukes rulers of Egypt in 1798 A.D. The Arab dynasties included the Umayyad (660-751 A.D.) and the Abbasids ( 751-880 A.D.) The Turkic dynasties include the Tolonides ( 880-904 A.D.) and the Akhsids ( 904-913 A.D.). They were followed by the Fatimites (913-1171 A.D.), a Shiite Arab dynasty. They were followed by Turkic, Ayubides (1171-1250 A.D.), the Mamelukes (1250-1517 A.D.) and the Ottomans (1517-1798 A.D.). After the Arabs conquest 641 A.D., the start of their rule was relatively mild. The Arab rulers primary interest was in exacting the maximum financial gain out of the rich land of Egypt. John of Nikiu in his chronicles indicates that Amer ibin Alass, after the conquest of Egypt, " increased the taxes to the extent of 22 batr of gold till all the people hid themselves owing to the greatness of the tribulation, and could not find the wherewithal to pay." The Ommyiads followed by the other dynasties instituted heavy taxes including poll tax or Algyzya, tribute and different exactions. At times the Arab rulers found it convenient to throw prominent Copts, e.g. a Bishop or Pope, in jail and request ransom to release them. The Umayyad Caliph Suliman ibin abed Almalek reflected this policy, in writing his appointed ruler of Egypt " to milk the camel until it gives no more milk, and until it milks blood". Though some of the Arab rulers were moderate, most were oppressive, cruel and committed a lot of atrocities against the Coptic population. The ultimate policy of the Muslim Arab rulers changed gradually from maximum financial gain to Isalmization either through incentives of reduced taxation, or by outright violence and force. Arab and Turkic rulers from different dynasties continued to levy heavy taxation to impoverish the Copts, instituted policies to eradicate the Coptic culture, language, leadership, and initiated violence and pogroms against the Coptic population. The assault on culture that was initiated by the destruction of the Alexandria library continued by the Umayyads who decreed the use the Arabic language instead of Coptic in the governance of Egypt. It took centuries for Arabic to replace Coptic as the spoken language of the land. The Coptic language continued in general use until the 13th century. Unlike the Greek or Roman rulers who maintained and rebuilt some of the ancient Egyptian temples, several Islamic rulers destroyed and pillaged the ancient Egyptian temples and Churches. The marble and porphyry pillars obtained by the destruction of many ancient temples and churches were used to build palaces, mosques, and at times just left a trail of destruction. Sultan El Aziz attempted to destroy the great pyramids of Giza circa 1193 A.D. He gathered a large labor force that attempted to destroy the pyramids for eight months. At the end of which, they succeeded in only destroying a part of the casing of the pyramid and made a small breach in one side. Fortunately the great effort needed convinced El Aziz to abandon the destruction of the pyramids. The Arab's oppression led the Copts to several rebellions, but these rebellions failed to break the yoke of oppression or achieve independence. The Copts in the eastern Delta fought against the Ommayyds oppression in 725 A.D. A large-scale Coptic revolt against the Abbasids took place circa 815 A.D. El Maamoun, the Abbasid Caliph, had to bring in a large army with elephants to conquer the Copts revolution of 815 A.D. Even as late as 1176 A.D. the Copts of the city of Koptos revolted against the oppression of the Turkic rulers. The policy of heavy taxation, pillage, and violence was also accompanied by forced migration of Copts to other parts of the Islamic Empire, and settlement of Muslim Arabs into Egypt. As a result, many of the Copts were forced into Islam to escape the continued oppression and heavy taxation. The forced Isalmization policy was followed by most of the Arab rulers, and later on also by most of the Mamluks and Turkic rulers. Gradually, the population of Muslims increased and the Copts decreased. The population of the Copts decreased from 9 million at the time of the Arabs conquest 641 A. D. approximately 700,000 at the early 1900's. Though persecution of the Copts by the Arabs, Mamluks and Turks was the norm rather than the exception, most of these rulers needed the knowledge of the Copts to govern the country and collect taxes. The history of the Islamic era shows a vicious cycle in which the Muslim rulers hire Copts because of their knowledge, skill and honesty to administer the affairs of the government of Egypt. Accordingly, the Copts do well and prosper, and ultimately the Muslim rulers change their minds for different reasons and expel the Copts from government jobs, confiscate their property, put them in jail, and a times put them to death. As the affairs of the government become erratic without the Copts knowledge, the rulers return back to hire the Copts again and so on. Under the rule of the Fatimite dynasty, one of the rulers was in fact insane. El Hakem hired several Copts in his employment. El Hakem however, decided to either to force his Coptic employees into Islam or kill them. Two prominent Copts Fahed iben Ibrahim, and Yuhana iben Nagah, were among El Hakem's employees, who accepted death rather than converting to Islam 1004 A.D. During the reign of moderate rulers and peaceful times, many Copts managed to excel in literature and the arts. Among the famous writers during the Ayubide dynasty, were the Iben Al Asaal brothers. Though the rule of the Mameluks produced many beautiful monuments, they were bloodthirsty and extremely oppressive for the Egyptians both Muslims and Copts. It is not unusual to read about pogroms launched against the Copts during the Mamluks time. A supposedly devout unknown Fakir, who would instigate a Muslim mob after the Friday Muslim prayers to attack the Copts, their homes and businesses, usually started the pogroms. However, the Mameluks also needed the services of the Copts to run the affairs of the government. Ibrahim Algawhery was the Chief Clerk of the Mameluks Abuel dahab and Ibrahim Bey 1795 A.D. Effectively he was the prime minister of Egypt and he was so influential to the extent that the Muslim historian Algaberti wrote about him and his achievements. Later on in the early 20th century another prominent Copt Botrous Galli became the prime Minister of Egypt under the rule of the British rule. After the French left Egypt, the country returned back under the rule of the Ottomans and Mamlukes. An Albanian officer of the Ottoman army, Mohamed Ali, managed to become the ruler of Egypt under the Ottoman Empire 1805 A.D. Mohamed Ali was a smart though ruthless ruler. He managed to massacre the Mamlukes and get rid of the Ottoman occupation army. He introduced western style education, industry, and new crops. His rule did not care much about religion as much as about competence. He hired a lot of Armenians and Copts to help his government. He challenged the rule of the Ottoman Empire, but lost as the European powers intervened on the behalf of the Ottomans 1845 A.D. Egypt became semi-independent under the Ottomans Empire, then under the British Empire 1882 A.D. and was ruled by the family of Mohamed Ali through 1952. A group of army officers led a coup d' etat that ended the rule of King Farouk, the last ruler of the Mohamed Ali family. The coup brought Nasser and his fellow officers to power. He pursued a socialist domestic policy, alliance with Soviet Union, and aggressive conflicts against the West and Israel. Nasser's socialist policies and conflicts with the West resulted in severe economic hardships for Egypt. After Nasser's death 1970, Sadat assumed the presidency of Egypt. Sadat reversed his predecessor's policy, expelled the soviet advisors, followed a more pro-western approach, and pursued peace with Israel. After a militant Islamic group assassinated Sadat in 1981, Mobarek assumed the presidency in Egypt until the present time. President Mobarek continues to follow a pro-western policy, and brokered several peace initiatives in collaboration with the U.S. between the Israel and the Palestinians. The poll tax, Algyzia was finally abolished in 1815 A.D. This gave some relief to the Copts in the 19th century-mid 20th century. This period saw a modest revival and renewal. A Coptic leader, Pope Cyril 4th a reformist followed the ancient Egyptian or Coptic tradition of respect for knowledge and learning in the 19th century. He looked to the western knowledge for inspiration. He established two schools with a western schooling system, and imported a new printing press to disseminate information. He started an effort o collect and catalog Coptic music and hymns. The Coptic music has been handed down orally from the days of the ancient Egyptian temples. It is believed that the Egyptian Government agents poisoned him and he died in 1861 A.D., as they were concerned about his reformist movement. The Copts in the 19th and early 20th century worked together with their Muslim compatriots to achieve independence and democracy in Egypt. They participated in the revolt of 1919 against the British rule after WWI. Several political Coptic leaders participated in the short-lived democratic parliaments in the early to mid 20th century. World War I resulted in the defeat of the last Islamic Empire, the Ottoman Empire. The last Caliph of the Muslims; the Ottoman Sultan was replaced by a secular president in modern Turkey. Though Turkey has and continues to progress as a secular nation, the impact of a superior western culture and influence was felt in many Muslim countries. A militant fundamentalist Islamic called the Muslim Brothers was initiated in 1920's. Other groups also followed, e.g. the society for Muslim Youth. These movements aimed at resisting the influence of the superior western culture. These movements espoused a more conservative interpretation of Islam, and many of them also espoused violence against the Copts that raged on and off for years. Nasser became President of Egypt shortly after an army coup in 1952. Though Nasser cared mostly about power more than religion, many of his protégé's espoused the more fundamentalist Islamic teaching of the Muslim Brothers. The Nasser government followed a socialist regime and nationalized most of the private enterprises, which hit the Copts a lot harder as they depended on private businesses for their livelihood. The economic pressures and resurgent discrimination led many Copts to start immigration to countries such as the U.S.A., Canada, and Australia in the 1960's. Active and successful Coptic-Americans live at present at most of the large metropolitan areas of the U.S.A. The same applies for many of the large metropolitan areas in many of the western countries. President Sadat was successful in establishing a peace treaty with Israel. However, in his struggle for power against the Nasserite factions, he encouraged the militant Islamic groups in Egypt. In the 1980s, the militant fundamentalist Islamic movement resurgence was accompanied by renewed and escalated assaults on the Copts in Egypt. The Militants instigated several violent episodes against the Copts and western tourists, attacked, sacked and burned churches and Coptic businesses. G. Kepel in his study of Muslim extremism in Egypt indicated that the Militants financed the assassination of President Sadat using gold robbed from Coptic-owned goldsmith stores. On the political side, the Islamic Militant groups called for changing the laws from the civil laws to the Islamic code or Sharia. Their claim is that the return to Sharia provides a solution instead of the western approach of democracy and free enterprise. It would return the Islamic countries to the glory of the medieval age Islamic Empires. However, the return to the Islamic code essentially deprives the non-Muslims including the Copts from equal rights as compared with the Muslims and subjects them to formal discrimination. In the 1990's attacks on Churches, property and businesses of the Copts have been on the increase. Abduction of young Coptic girls and forced Islamization increased. Pogroms have been frequent lately. In the early days of the year 2000 a pogrom was initiated by the militants Islamic groups resulted in the murder of about 21 Copts, and the destruction of many Coptic homes, businesses and a Church in the village of Al Kosheh in Southern Egypt. Similar incidents and persecution continues. Even obtaining permits to build or maintain churches is getting a lot more difficult. The sad irony is that the laws used to mire requests for permits for churches are rooted in the laws of the Ottoman Empire. Though the Ottoman Empire has expired after its defeat in World War I, the Egyptian government bureaucracy spurred by the militants teachings uses the defunct Ottoman law called the Hamayouni decree against the Copts free expression and practice of their religion. The heritage and legacy of the Copts and their ansctors the ancient Egyptians continue to be manifested all over the world in every day life in the use of the Gregorian calendar, a descendant of the ancient Egyptian solar calendar. The Coptic name of ancient Egypt " Chimie" has lent itself to the modern Chemistry. Ancient Egypt continues to provide inspiration for cotemporary mystics and followers of new age beliefs. Modern artists continue to be inspired by ancient Egypt. In recent years, architects have taken renewed interest in Egypt and the forms of its stylishly pyramid, continue to be applied to many public and commercial buildings. 12- Ancient Egyptian Culture, published by Chartwell Books, Edison, N.J. 1998.